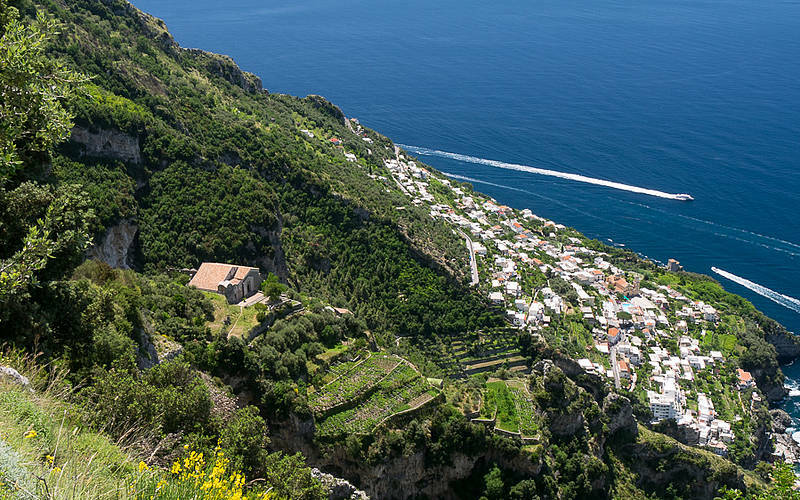 The Sentiero degli Dei links the tiny hilltop town of Agerola with Nocelle, a fraction of Positano nestled on the slopes of Monte Peruso. 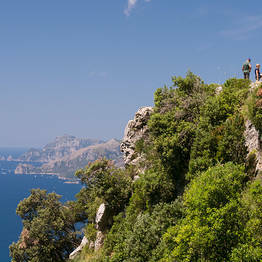 The name of the footpath, The Path of the Gods, is an indication of the spectacular scenery enroute. 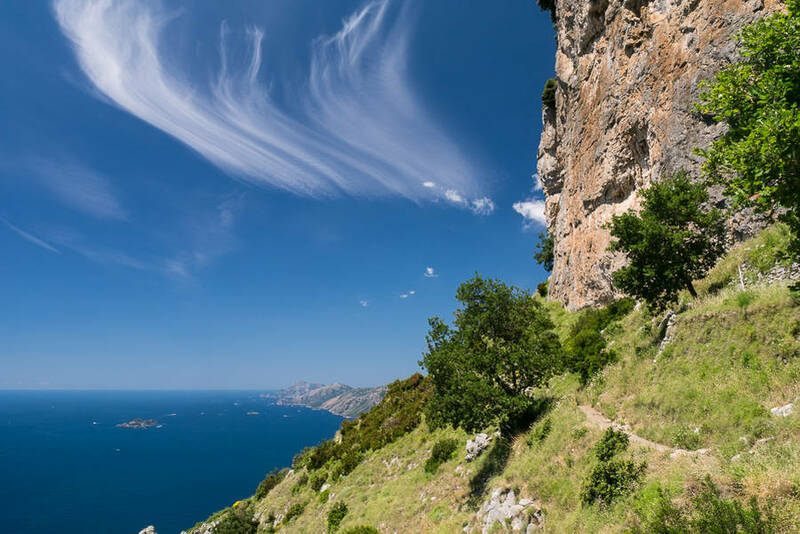 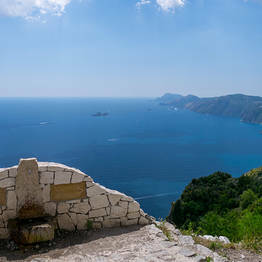 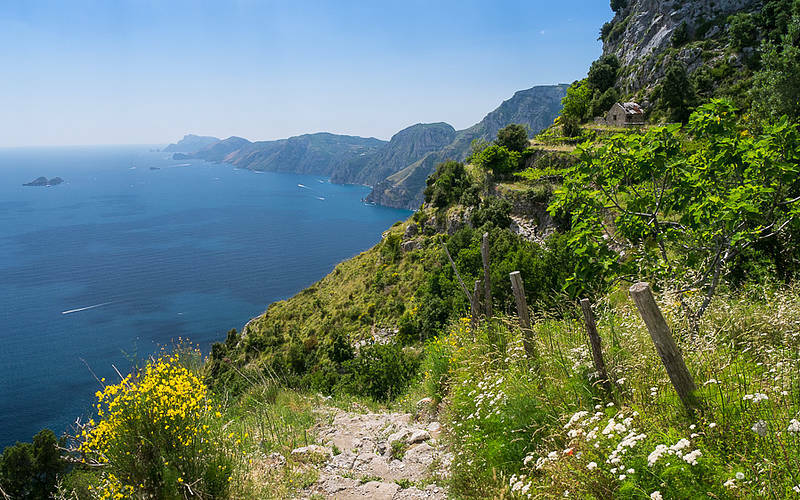 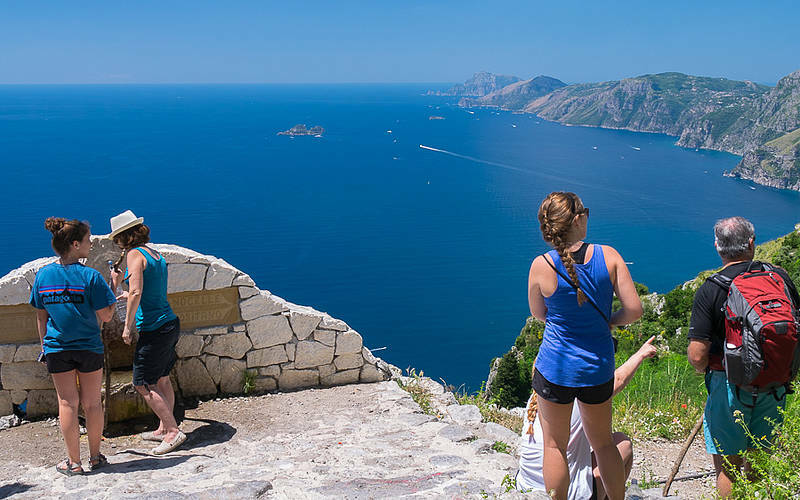 Ideally, walkers should walk from Agerola to Nocelle, and not vice-versa; the route runs gently downhill from this direction, with magnificent views of the Amalfi Coast and the island of Capri. 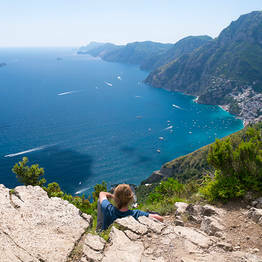 Difficulty: easy. 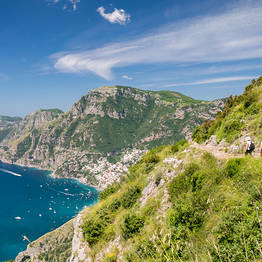 The path is not suitable for those who suffer from vertigo. 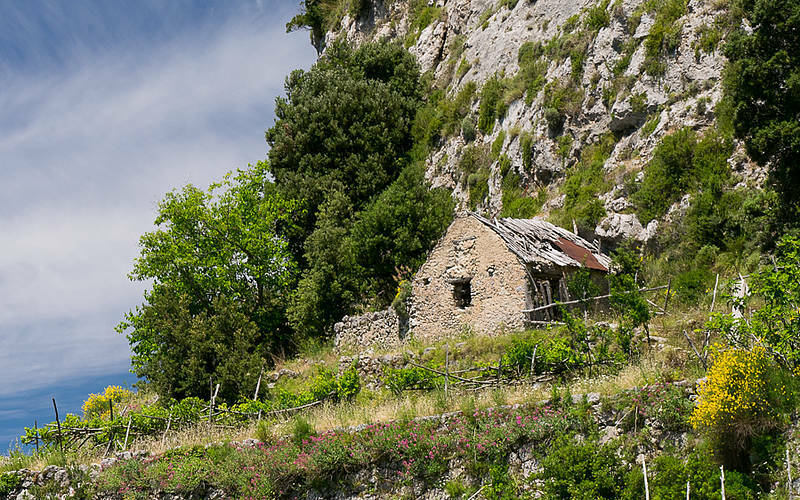 Beginning Your Hike along the "Sentiero degli Dei"
The Path of the Gods begins in Bomerano, a fraction of Agerola. 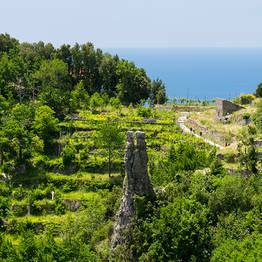 Walkers can reach Agerola by one of the Sita buses which depart from Amalfi. 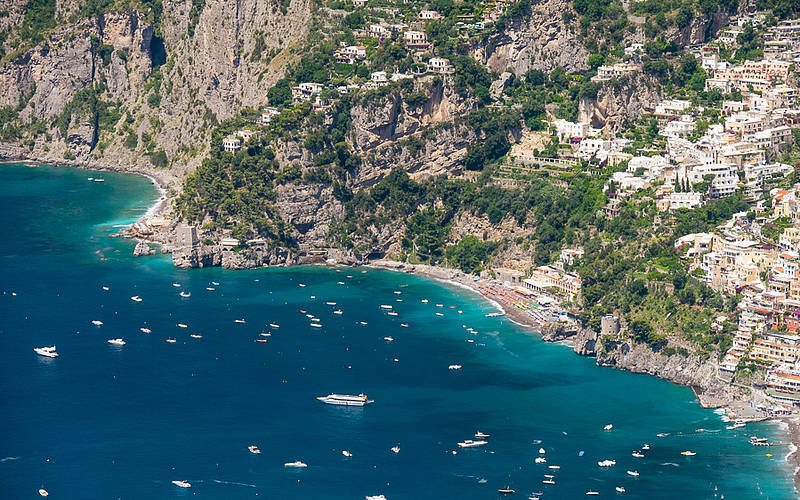 Ask the driver to let you off at the Bomerano stop. 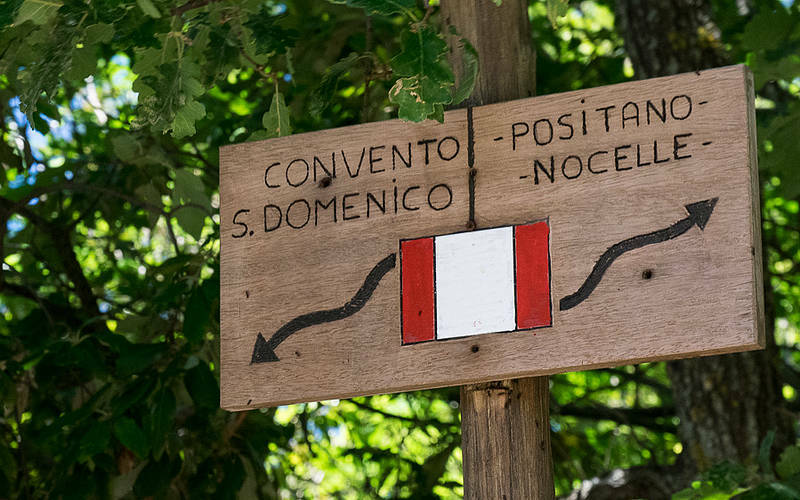 From here, follow the road signs which will lead you to the trailhead. 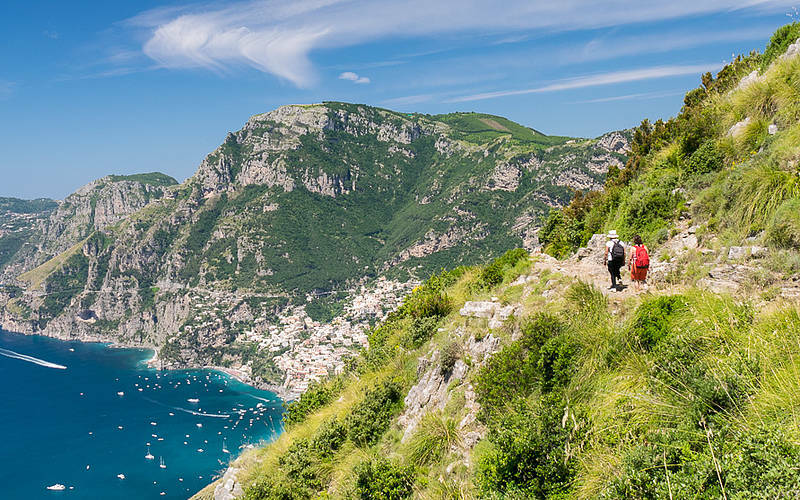 The trail ends in Nocelle, the upper part of Positano. 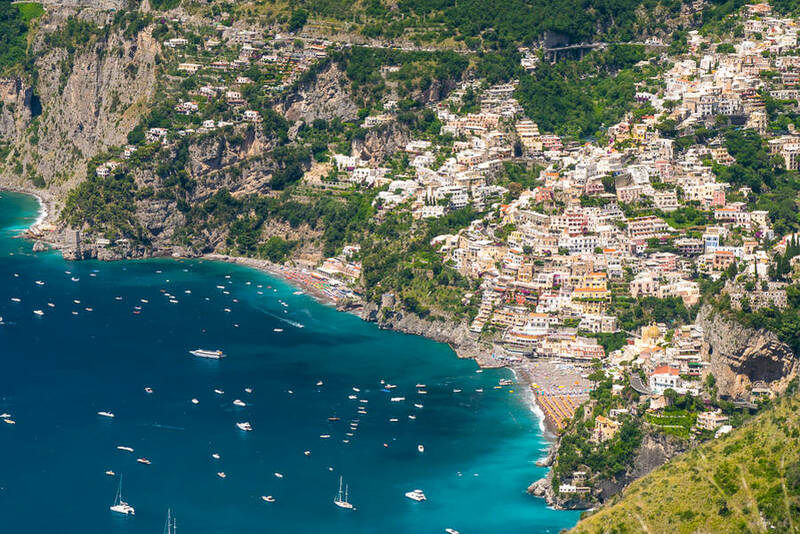 You can reach the center of Positano by taking the 1,500 steps about 500 down on foot. 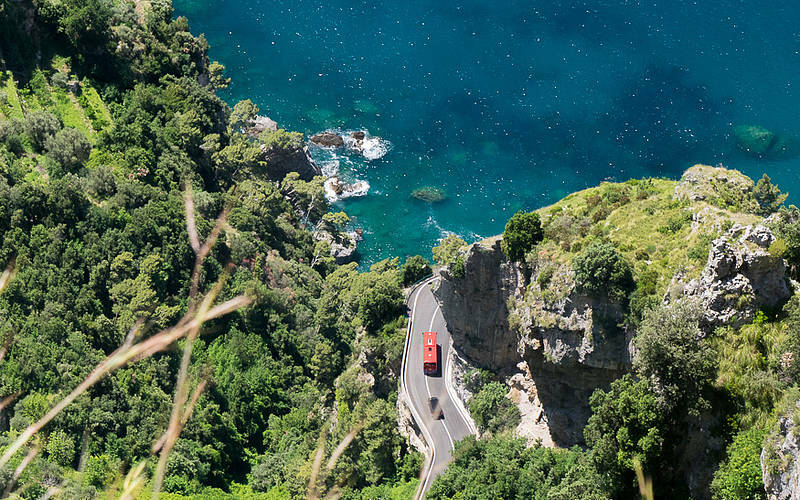 Otherwise, there is a bus route. 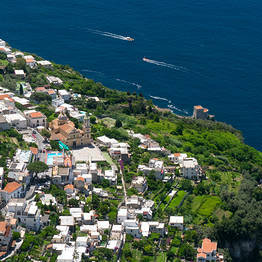 From Positano, there are buses and ferries to return to Sorrento and Amalfi. 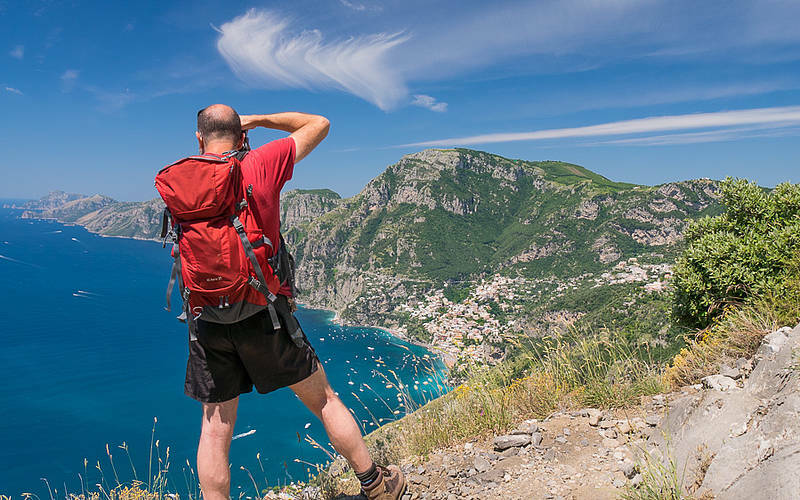 The most convenient way to begin your hike is by private transfer to the trailhead. 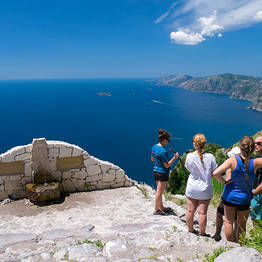 You can book a transfer for a drop off at the trailhead, or for both a drop off and a pick up at the end of your hike. 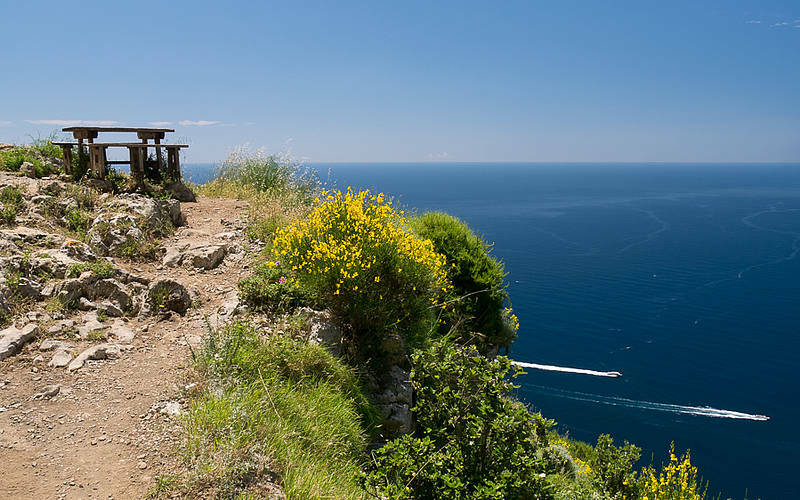 If you have also booked a pick up, your driver will meet you in Nocelle above Positano where the trail ends. 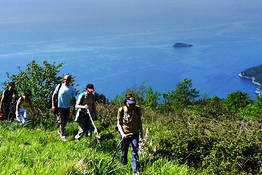 This is also the least expensive option if you are hiking with a small group. 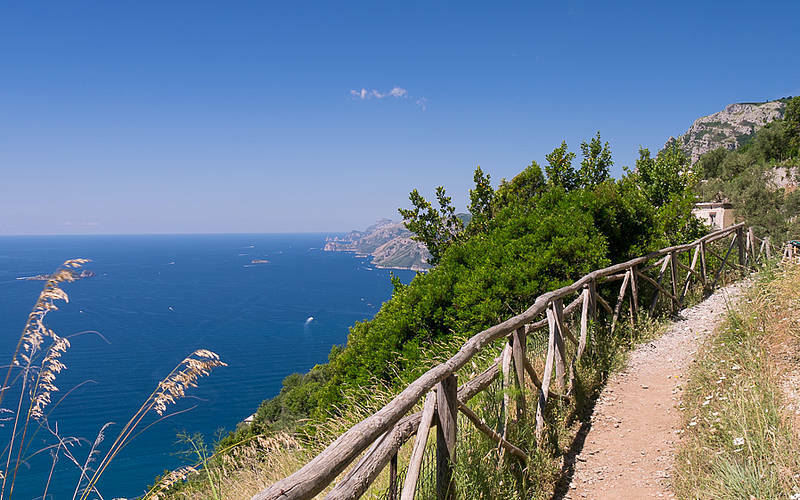 You can also start the Sentiero degli Dei from Praiano, but this route entails climbing up a long flight of steps to reach the Colle Serra Pass, some 580 meters above sea level. 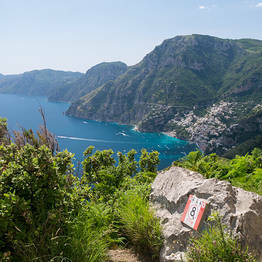 Following the "Sentiero degli Dei"
The route is marked by white and red signs with 02 written on them. 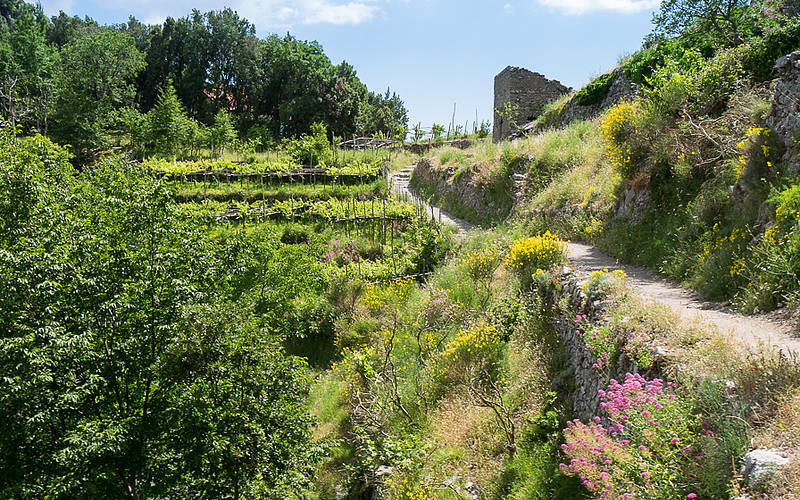 From Colle Serra, walkers make their way downhill until reaching a fountain; to the left of the fountain there is a former mule path which begins in Praiano. 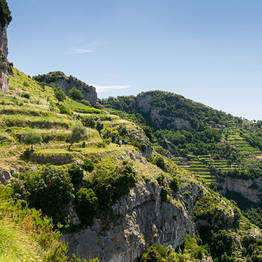 The Sentiero degli Dei continues along the road to the right. 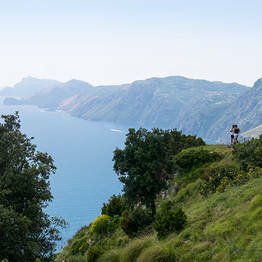 Below, along the road used by hikers who start off the trail from Praiano, the Convent of San Domenico can be seen. 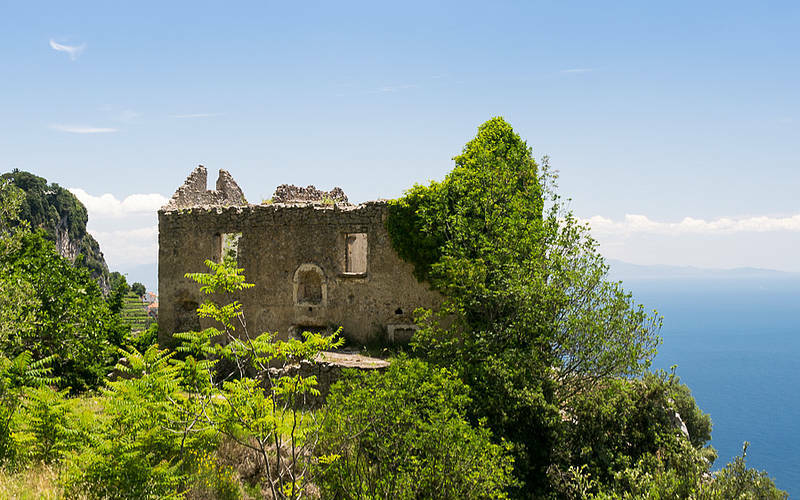 At this point the scenery changes: from hills dotted with just a few shrubs, where walkers frequently come across grazing sheep and goats, to a typically Mediterranean landscape littered with holm-oaks, arbutus, heather and rosemary. 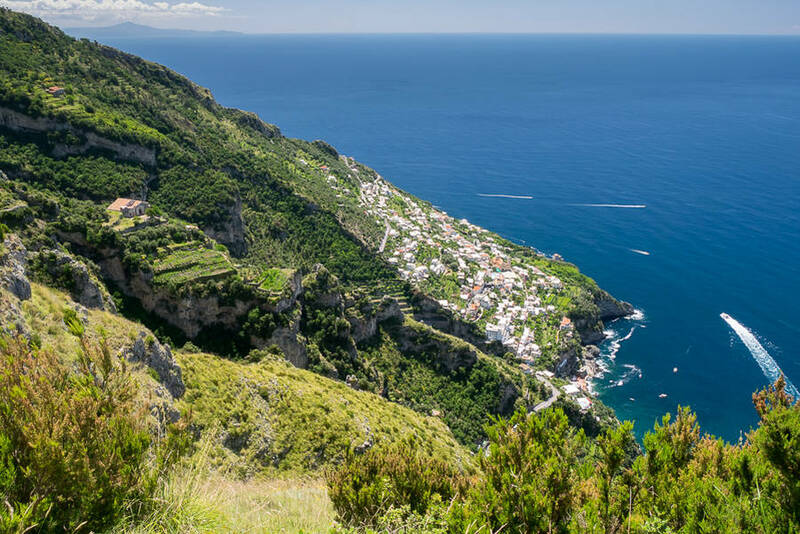 The path becomes more difficult as it passes through the Vallone Grarelle via a series of ascents and descents and breathtaking panoramas until reaching Nocelle, a fraction of Positano. 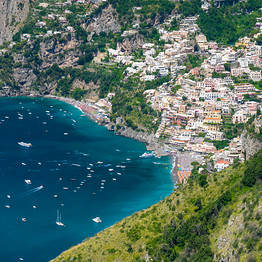 In ancient times, Nocelle could only be reached on foot by way of a steep flight of steps beginning in Positano. 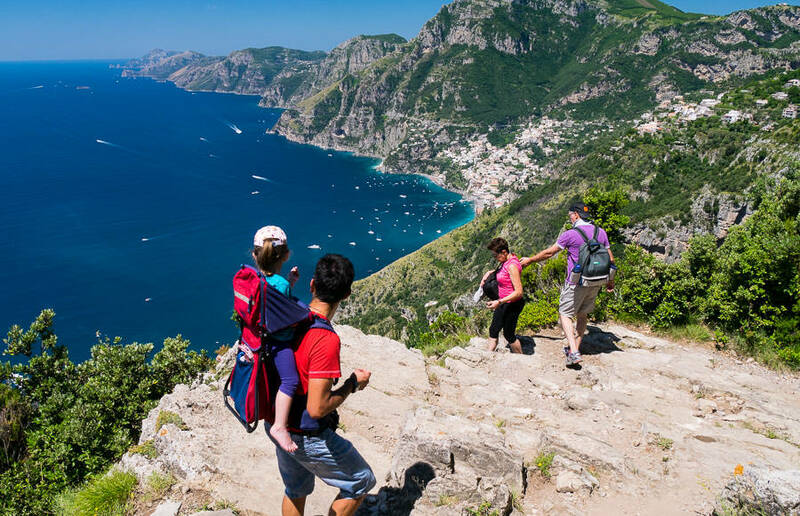 Today, walkers can decide whether to make their way downhill by bus or on foot via the 1500 steps which lead to the district of Arienzo. 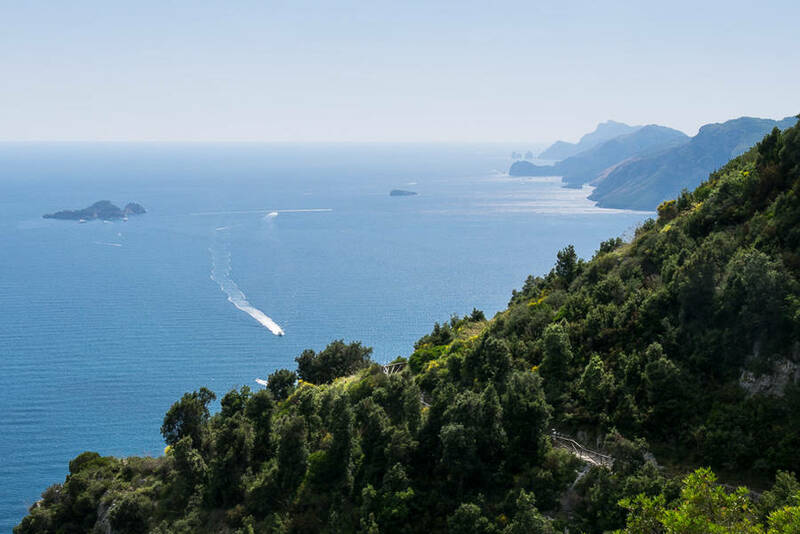 In the summer, it is well worth descending a further 300 steps to the Arienzo beach, where you can enjoy a refreshing swim in the sea. 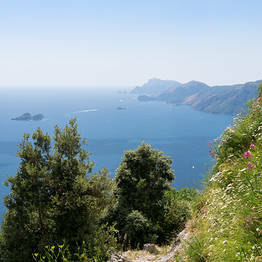 From Arienzo, following the SS163 for about 1 kilometer, walkers soon reach the center of Positano. 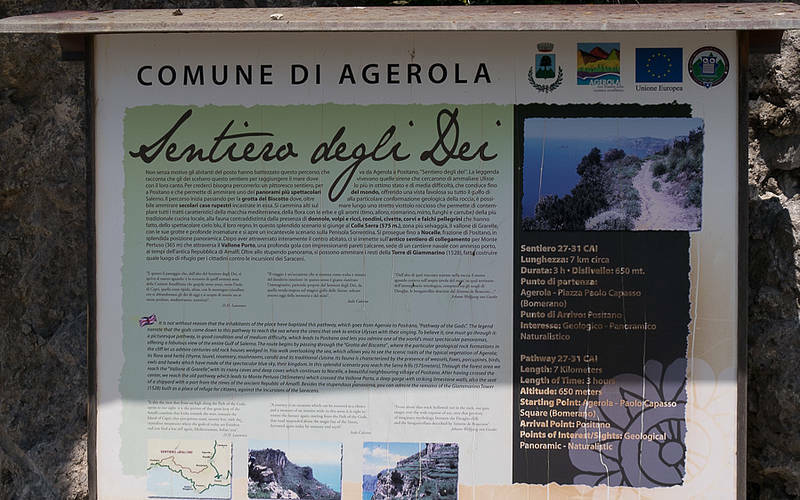 Agerola is famous for its fiordilatte, a unique type of fresh mozzarella cheese. 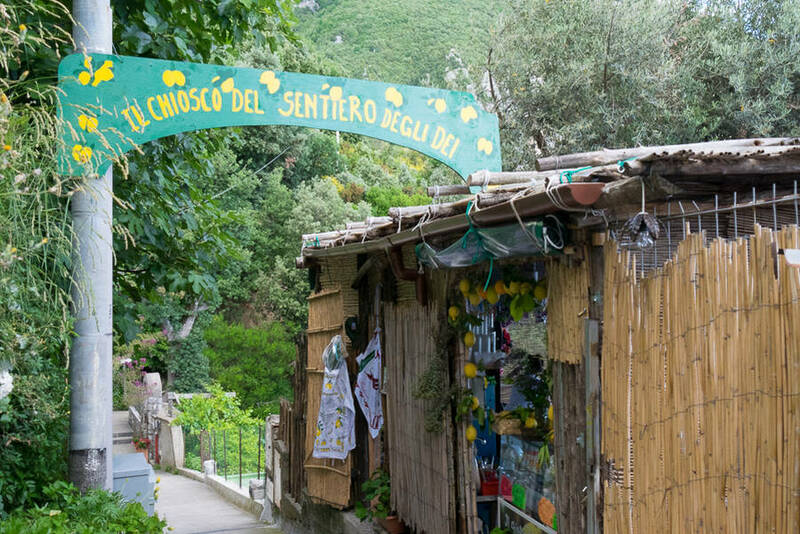 Before you start the walk, stop off in one of the town's salumeria, where you can purchase some focaccia and fior di latte to sustain you during the journey: the perfect ingredients for a picnic worthy of the gods! 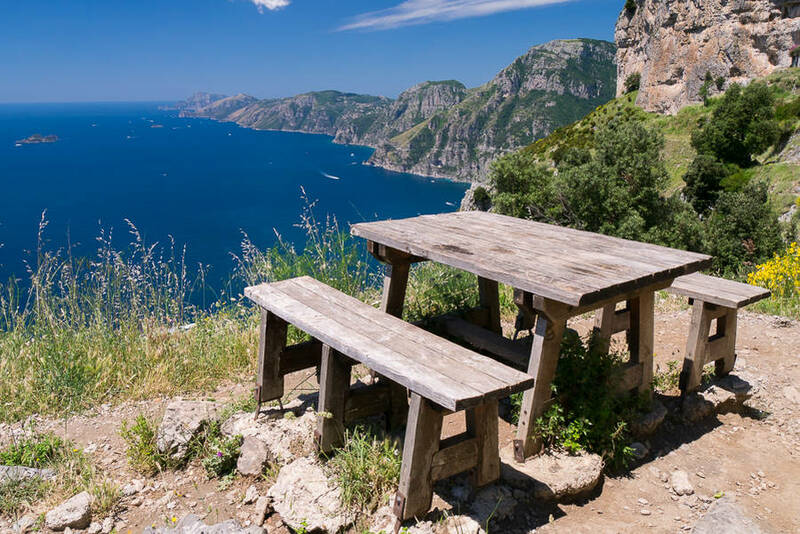 If you'd rather have something a little more substantial, once past the village of Nocelle, continue for about 1 kilometer along the recently constructed lane to the La Tagliata restaurant, where you can dine on the terrace, enjoying delicious food and a marvelous view of the sea and the island of Capri. 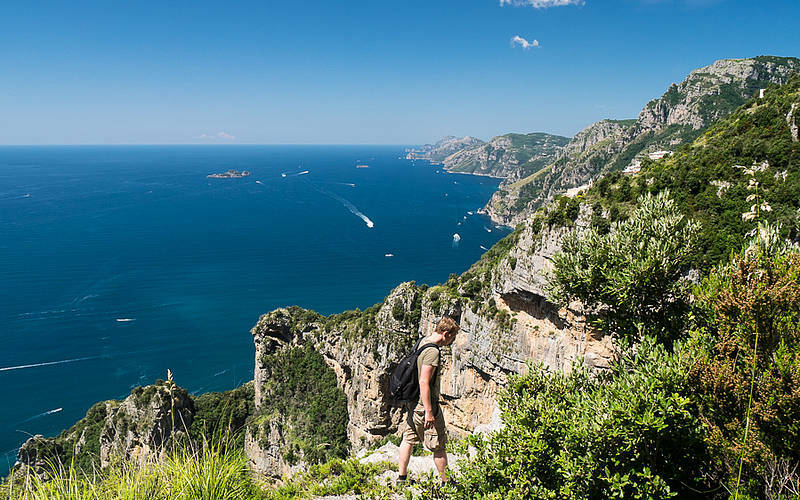 Would you like an expert guide for your hike? 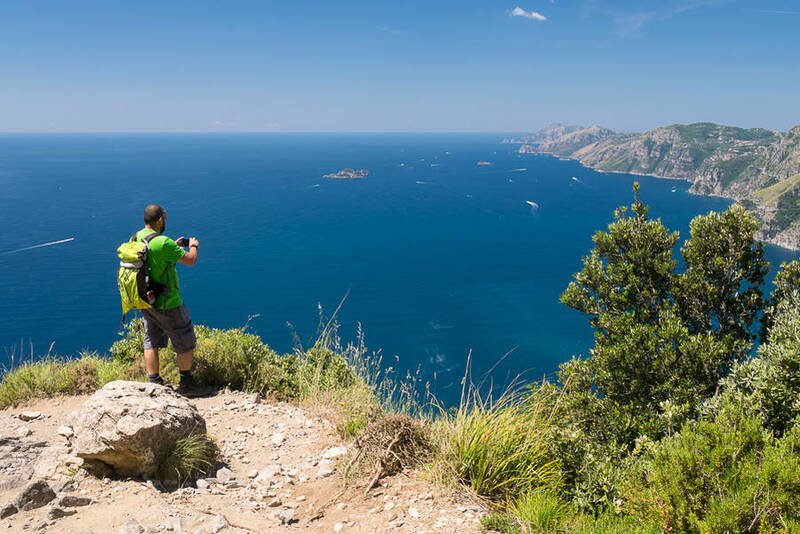 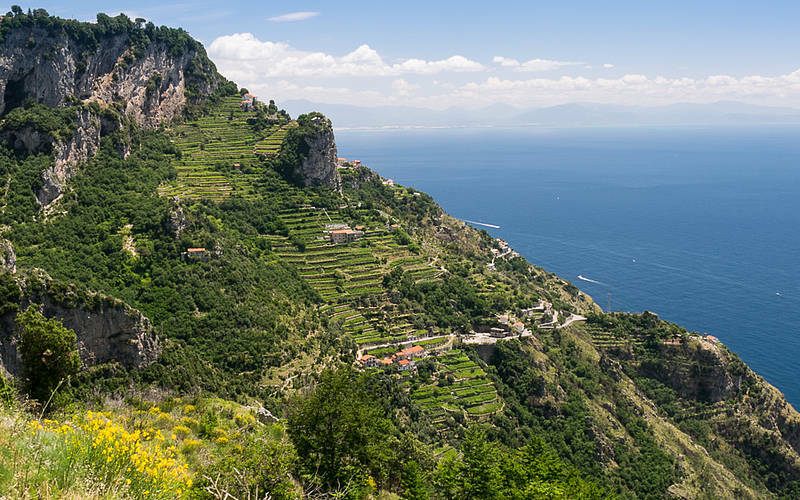 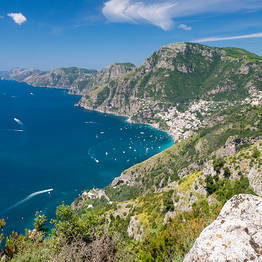 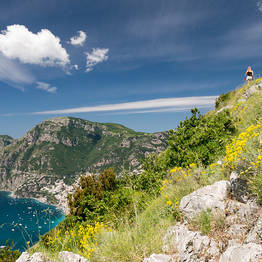 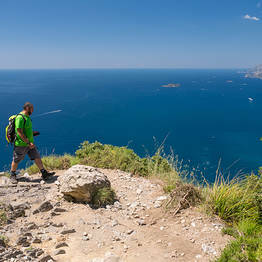 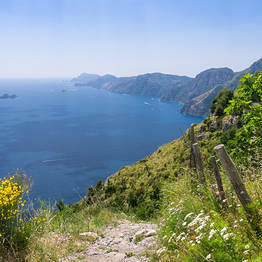 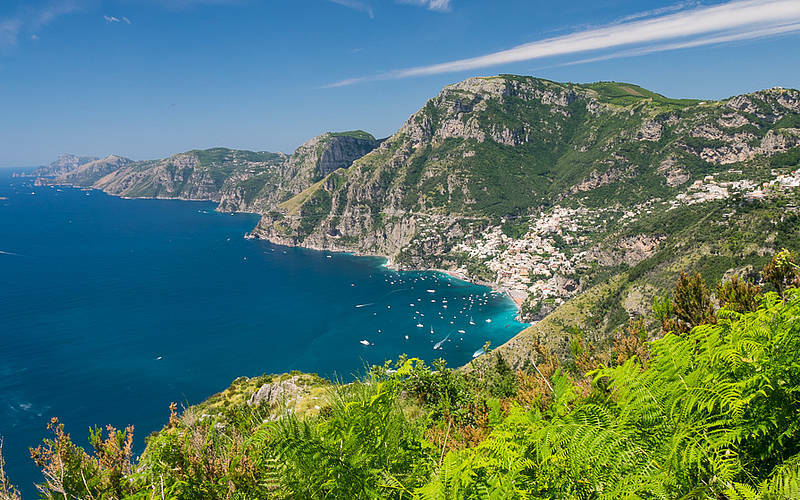 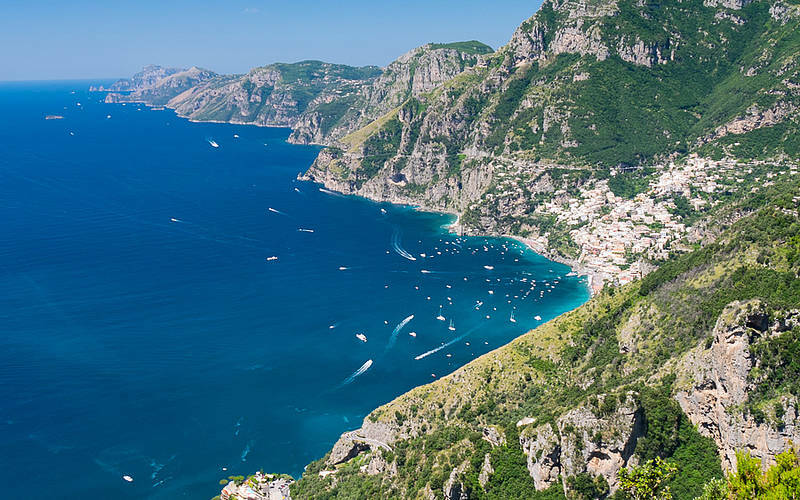 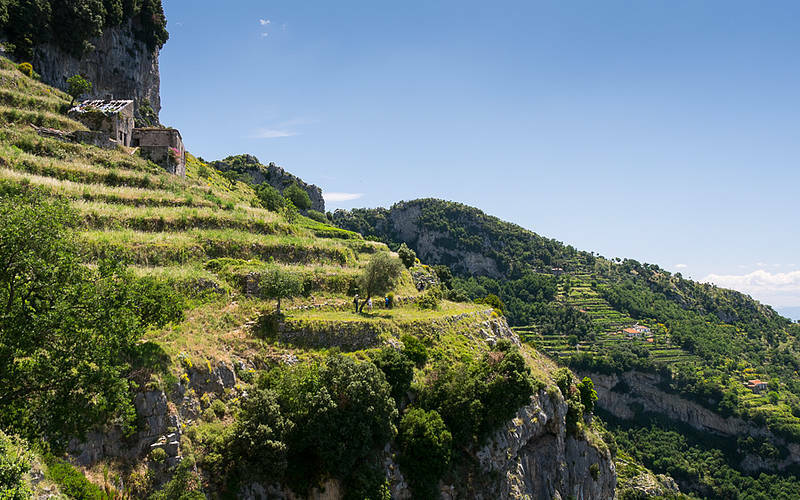 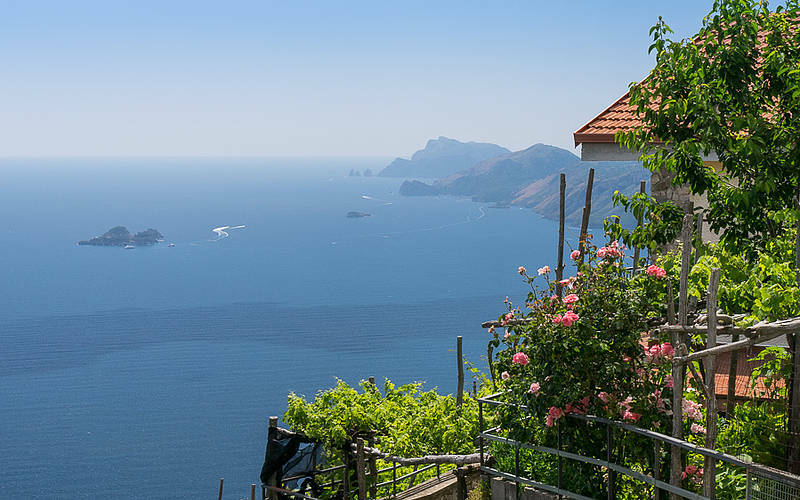 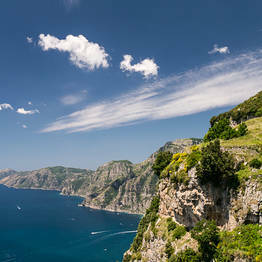 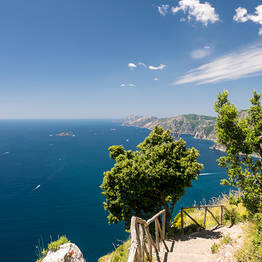 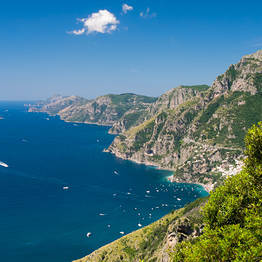 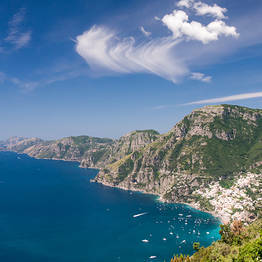 Carto Trekking organises guided hikes along the trails through the Amalfi Coast.